Looking at the ongoing trends used in web design market, there is no denying that the motto for 2018’s web design trends will be ‘ready for everything’. With the growing technology, we should be ready for some good technological surprises in the area of graphic web designing. All this is happening or will happen in the future due to the changing taste of the customers. Storytelling is going to be the most used web design trend in 2018 without any doubt. Storytelling helps to connect the customers with the company they are interested in, as they convey the motto and bigger picture of that company. So while designing a web page makes sure to put up a good story – that will keep the customers engaged to the company’s products, services etc. This web design trend of 2018 is all about building a more emotional or humane connection. We all are aware that in today’s time, a person is more close to his/her mobile than any other thing. It is because it contains each and every kind of information you need on a daily basis and makes your work easy also. So, in 2018, those web designs will be preferred more which are mobile-friendly. 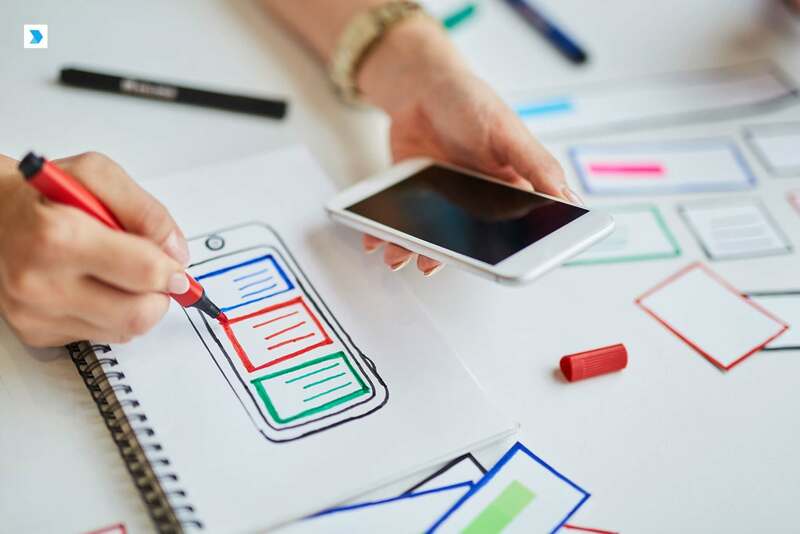 In fact, Accelerated Mobile Pages, (an open source coding which has the ability to load the websites more quickly), will be an important part of this trend. In order to keep up with the changing and the modernizing of the layout trends, one will need the type of fonts which have the ability to catch the attention of the customers and are new as well. For, example bold colors and large fonts will help to keep the attention of the visitors on your website. They will be easier to read. The font colors will not be usual or boring. The main aim will be to create blissful and easy experiences for the customers. Honestly speaking, it will be a very huge and brand new web design trend in the coming year. This is difficult but not impossible. If human mood can be predicted and it can be used for design interface, then it would be a very witty invention in the world of web design. This is the reason that the mobile apps and software are becoming more and more personal. We all are aware of the fact that, various apps constitute about 60-70% of our mobile’s media. Now, this point was noted by web designers and they are coming out with various ways, to mix the best features of the web with various apps. In technical terms, this blending is called as Progressive Web App. Some examples of the same include- push notifications, splash screens etc.